Over the past several years, investors looking to profit from global infrastructure spending announcements, particularly those coming from the developing world, have been greeted with a various scenarios. Some have been rewarding while others have been frustrating. There have been times when ETFs devoted to the emerging markets infrastructure theme have risen almost immediately following a major spending announcement. For example, the EGShares Brazil Infrastructure ETF (NYSE: BRXX) surged last August after Brazil unveild an almost $66 billion infrastructure package aimed at enhancing its railways and roads and boosting a sagging economy. There are also examples where the expectations of infrastructure spending have done nothing to boost a particular ETF's fortunes. Such is life for the EGShares India Infrastructure ETF (NYSE: INXX). Most observers of the Indian economy know the country is home to decrepit infrastructure, even by developing world standards, yet the anticipation of that scenario improving has done nothing for INXX. The ETF has tumbled more than 30 percent since August 2010 debut. One ETF that could benefit this year from increased infrastructure spending is not an infrastructure fund at all, but it is a familiar name to emerging markets investors: The iShares MSCI Thailand Investable Market Index Fund (NYSE: THD). THD, which is hovering just pennies away from its all-time high, is already a juggernaut among emerging markets ETFs. The fund is up more than 30 percent in the past year and is one of the top-performing ETFs of any kind since the March 2009 market bottom. After soaring in 2012, some market participants said THD would retreat this year if for no other reason than that the ETF looked overbought and Thai stocks appeared expensive. To that, THD has said "no way" and returned over five percent since the start of 2013. A potentially positive catalyst may be emerging to help THD run higher, that being massive infrastructure plans by the Thai government. The Financial Times puts the price tag of the Thai infrastructure plans at $67 billion. 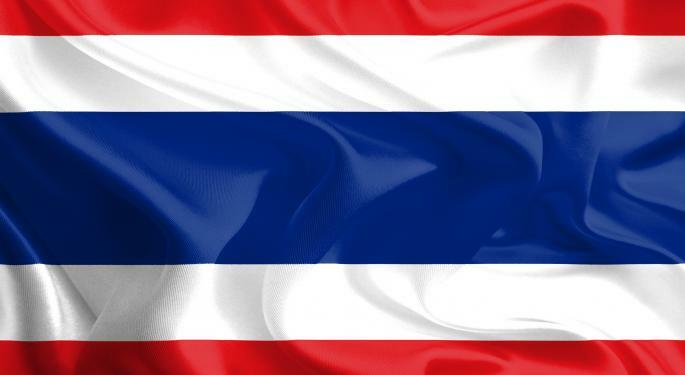 A day after the FT story ran, Thailand Business News reported the government there is looking to complete 55 projects at a cost of almost $76.3 billion by 2020. It is possible Thai infrastructure largess could be a boon for THD. The ETF allocates 18.5 percent of its weight to energy names and another 10.6 percent to the materials sector. Telecoms and industrials combine for another 12 percent, so it is fair to say THD offers some level of intimacy to increased infrastructure spending. On a superficial level, THD could also benefit as investors take a close look at what Thailand is planning to spend billions and billions of bahts on. Tourism is a vital element of the Thai economy. Not surprisingly, upgrades are planned for the Bangkok airport. High-speed rail projects are also expected to be on table. Improvements to Thailand's railways are important for reasons beyond tourism. The country is an export-driven economy and is located at the heart of the booming ASEAN region. Yet the country only has 3,900km of single-track railways, as the FT reported. Combine that with sub-par roads, and Thai exporters face significant logistical challenges just to get their products out of the country. Help may be on the way. Four high-speed rail projects valued at over $30 billion could be among the first projects Thailand embarks upon once policymakers approve the spending package, Thailand Business News noted. Naysayers or those with a vested interest in seeing THD decline, will say Thailand risks hurting its balance sheet with these spending plans. The country had a debt-to-GDP ratio of 41.7 percent at the end of last year, according to the International Monetary Fund. That is pristine compared to much of the developed world. 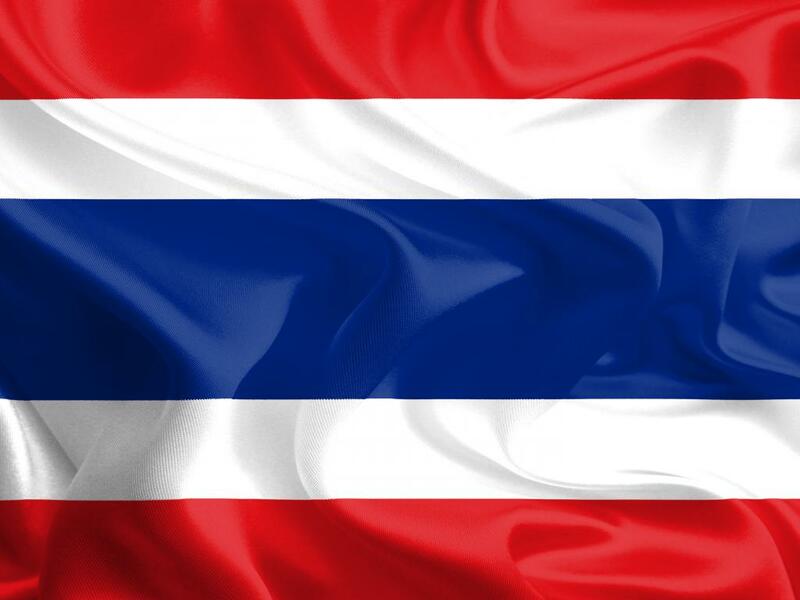 Thailand has an investment-grade credit rating of BBB+ on the Standard & Poor's scale and it is not unreasonable to assume the government does not want to risk a downgrade, which would lead to higher borrowing costs. Not surprisingly, Thailand is courting foreign investors from China, Japan and others to invest in its infrastructure endeavors. That could mean increased foreign direct investment, a number that is often pivotal in the analysis of emerging markets ETFs. Obviously, the long-term impact of Thailand's infrastructure spending on THD cannot yet be measured. However, it is worth noting that the ETF is up 2.25 percent this week after news of the infrastructure package hit the wires on Monday. Maybe that is a coincidence. Maybe it is not.